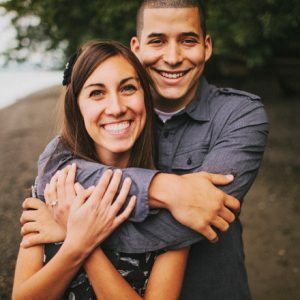 Jeff and Alyssa Bethke are the founders of Jeff & Alyssa’s Monthly Marriage Workshop, an online community focused on helping members grow their marriages. Through a fun monthly webcast and easy-to-use tips and resources, couples discover how to be intentional with their time together and experience more joy, vibrancy and adventure in their most important relationship. Jeff is the New York Times bestselling author of Jesus > Religion (Thomas Nelson) and It’s Not What You Think, as well as Love That Lasts and 31 Creative Ways To Love And Encourage Him & Her, which he co-wrote with Alyssa, his wife of 5 years. Jeff’s spoken word video, “Why I Hate Religion, But Love Jesus,” has had more than 70 million views on YouTube, and His weekly YouTube series on dating, marriage, and relationships, has over 600,000 subscribers. Together, they have been featured in “CBS This Morning,” “Nightline” and “Morning Joe,” as well as mentioned in the New York Times, Huffington Post and Time magazine. Jeff and Alyssa are the co-hosts of Love That Lasts, a podcast about relationships and faith available on iTunes. In it, they discuss issues of faith and culture on a deeper level, sharing how today’s challenges shape them as a couple and as parents, and taking listeners’ questions. They are passionate about encouraging and strengthening couples in their marriages—knowing it is one of God’s primary means of revealing Himself to the world. They live in Maui with their daughter, Kinsley, and son, Kannon.